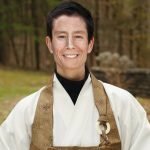 Drawing on her time at a mountain lake, Zuisei Sensei talks about that which is beyond ordinary knowing and must be known intimately. As she puts it, devoting our full attention to an object — the breath, a koan — can be an act of love. Zazen itself is that act of love, an act rewarded in ways we cannot predict.